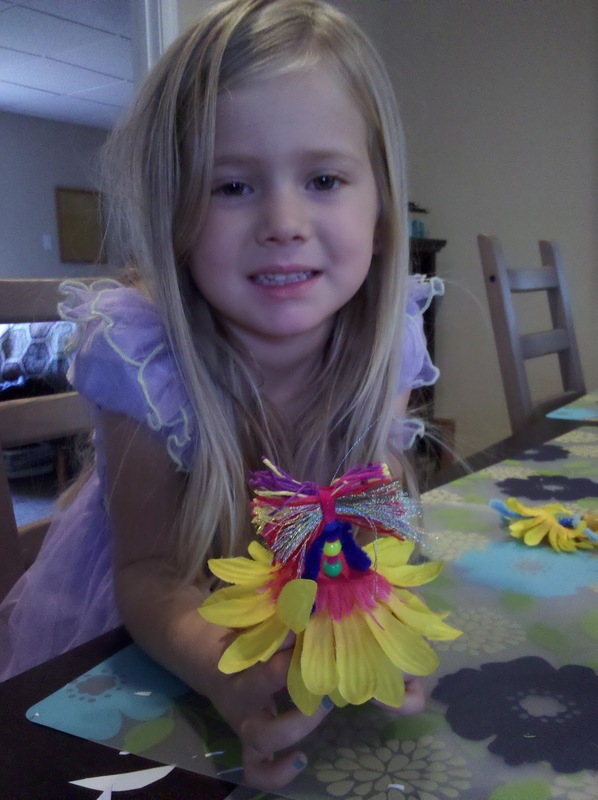 It was about 31 degrees outside today and so we spent a lot of time indoors crafting fairies and snowflakes. (Thanks to the Pink & Green Mama for the fairy idea.) Téadora HAD to dress up like a fairy if she was going to make fairies...how could I disagree. Can I just say I cannot believe this little girl is going to be FIVE in January and in the same breath I cannot believe she is only going to be five...such a crazy phenomenon. Aurora just walked in the room when I had this picture up and shouted (loudly) "Te`a!! I LOOVVVVE Te`a!! "...sorry, have no idea how to do the right little accent thing there, but wanted to add something so she didn't look like "tea"